The Elara FC-Series R offers radiometric analytics that are capable of detecting sudden changes in temperature at facilities, triggering alarms when temperatures exceed preset thresholds. The Elara FC-Series R produces crisp, high contrast thermal imaging in all weather conditions using custom AGCs and Dynamic Detail Enhancement (DDE). A durable enclosure protects the Elara FC-Series R from dust and water, and resists shock, vibration, and corrosion. FLIR’s advanced thermal security cameras provide the most complete perimeter intrusion protection for locations large and small. Because thermal cameras detect heat, they can reveal intruders in all lighting conditions, including complete darkness, rain, light fog, and smoke. 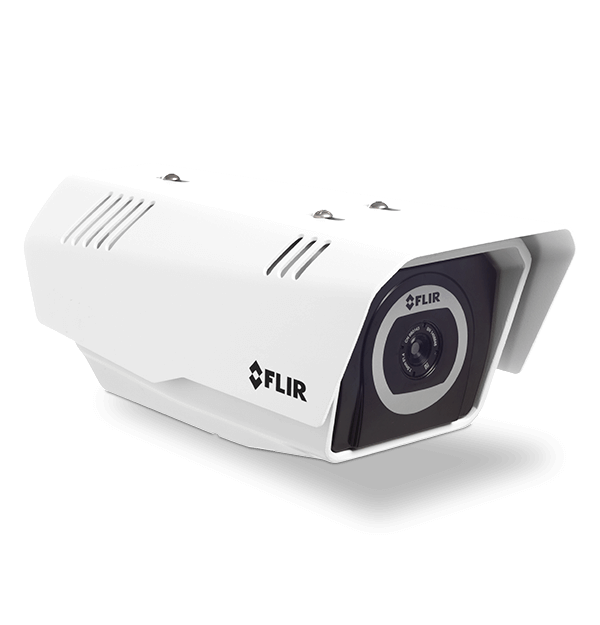 As a result, FLIR thermal security cameras offer affordable, high-performance 24/7 intrusion detection for enterprise, commercial and residential applications. FLIR cameras are also certified by major 3rd party integrators.